Resolve disputes fast, and avoid further complications with personalized alternative dispute resolution. From divorce to commercial contracts, DEATON & BERRY, P.A. solves all conflicts in a practical, efficient, and confidential manner. Defend your rights with a resourceful civil litigation lawyer, or avoid excessive penalty with a seasoned criminal defense attorney. From personal injury to business cases, "D" BERRY and JOE DEATON provide cost-effective services. DEATON & BERRY, P.A. in Flowood, Mississippi, offers legal services in the areas of insurance, personal injury, domestic relations, real estate, transportation, and business law. Feel confident that you're getting competent legal services from the founding members, "D" BERRY and JOE DEATON who have more than 20 years of experience in representing all kinds of clients. Resolve cases fast, and avoid further complications with their efficient, time-tested, and cost-effective methods. Learn More About DEATON & BERRY P.A. 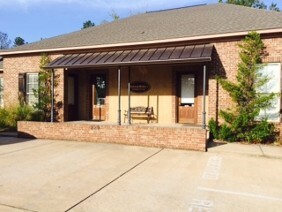 Contact "D" BERRY and JOE DEATON in Flowood, Mississippi, to request an appointment for their extensive legal services.